Australian Flying - 05/06 2019 » Download PDF magazines - Magazines Commumity! Australian Flying is all about the wonderful world of general aviation in Australia. 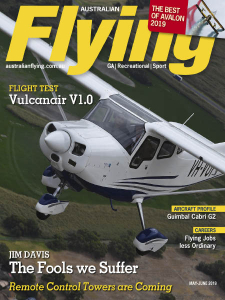 The magazine is aimed at getting people excited about what we do in the air and encouraging pilots to share their stories and experiences within the general aviation community.